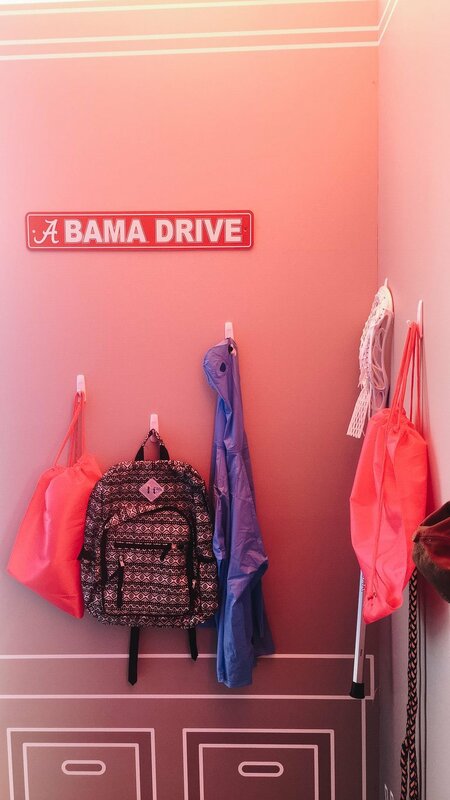 I was going to call it Dorm Essentials, but these aren't really "essentials," so lets call it fun décor ideas for your new apartment or new dorm! Hey guys! I know that for me, this Fall season has been insanely busy! I can't imagine how much more busy it would be if I was having to worry about decorating my dorm or new apartment on top of everything else!! I had the opportunity this week to work with Command at their Inspiration Pop-Up Shop at Walmart, where they had display boards showing lots of new, fun ideas for how you can decorate your space and have fun with your décor without worrying about damaging your walls! I had so much fun seeing the displays that they put together, and learned so much about their products! For instance, did you know that they have a water-resistant line of products that you can add to your shower?! I really want one of their shampoo shelves, and their razor/toothbrush holder, and one of the soap holders. So before the event I sat down and wrote a list (or really 3 lists) about fun dorm ideas that I could share with people that came into the tent (as any "design expert" influencer would do! ), but I wanted to share them here too incase you are newly into an apartment or dorm and are looking for some more décor ideas! I'll also include some pictures at the end from the event because it was so much fun!! One of my favorite ideas has been to use the Vecro 3M strips on the top edge of fabric (or even on the temporary wall paper adhesive sheets!) to add an accent stripe or accent wall to a small space. You could pick up a couple yards of a bright solid or a fun pattern and attach them pretty easily up by the ceiling to let them hand down a wall! * for an extra layer, cut a hole in the fabric or temp. wallpaper and put one or two photo hooks on the wall to hand posters, mirrors, or fames on top of the fabric/wallpaper! A easy way to add some dimension to your walls! This is one that has nothing to do with 3M or Command products. But if you have a small closet and a love of accessories, use some fun-colored shower rings on a hanger to store scarves horizontally across the hanger! You can take the hanger out of the closet and see them all to decide the perfect one for your outfit, but then when they go back into the closet they take up SO much less space! When I first moved into the dorm, I tried using the tension rods to hold my curtains, but for some reason, they really did not work for me. Using two of the bigger hooks at the top of the window(one on either side) takes out the risk of a curtain crashing down on your head in the middle of the night! * for more fun with curtains, add one above your door! That way, if you're in your room working, and need a little bit of privacy, but don't want to appear "closed off"/want to have it still feel open, you can close the curtain but still be able to interact with people outside! Rope curtains would also be a really fun way to tie in the boho-trend to your space! If you have a lofted bed in your dorm -- or this could work if you don't have a bedside table -- find a fun little basket and ziptie it to your bed! That'll make it easy to keep your phone, a book, glasses/contacts, or anything else you need close by! This was actually one of the ideas that they had in the Inspiration Tent last week. If you have a few clip boards, hang them up on the wall for easy display of photos, magazine inspiration, or important papers! * If you have kids in school, this would also be a really creative way to put their chore lists up on the wall where they can see them, or a great place to store completed homework assignments, their drawings, or display good grades! If you follow along with LBS on Instagram, you've seen that I've gathered quite the collection of hanging ceramics, plants, and candles in my bedroom above my bed. Using a few Command hooks to hand some macramé plant baskets in your small space is a fantastic way to add a new texture and some greenery to your space! I love how adding a little pop of plant-life can add so much energy to a vignette that I'm styling! Use a colorful photo frame with a piece of white paper behind the glass as a small whiteboard for little notes! Like the first football game of the season! Use Command Hooks to hand file organizers on the wall, a great place to hang your syllabi from the beginning of the semester OR any other important papers! Use 3M Hooks in your kitchen to hang utensils! The little ones are the perfect size to hang measuring spoons inside a cabinet for hidden convenience! Or use the medium sized ones to hang coffee mugs on the walls. Like I mentioned at the beginning, I have newly discovered 3M's shower products! I think these would be perfect if you're in one of the suite kind of dorms where you and one roommate share a shower -- everyone could have their own little shelf for their shampoos, & their own spot for soaps, razors, etc.! Put a couple 3M hooks on the inside of a bathroom cabinet door to get your hair styling tools off the counter/keep them out of sight til you need them. String lights make any space feel cozier (I even have them in my room here at the LBS) but they're especially great for the terrible lighting found in most dorms! Here, I used the little 3M hooks meant for cords to hang my little lights above my "desk."